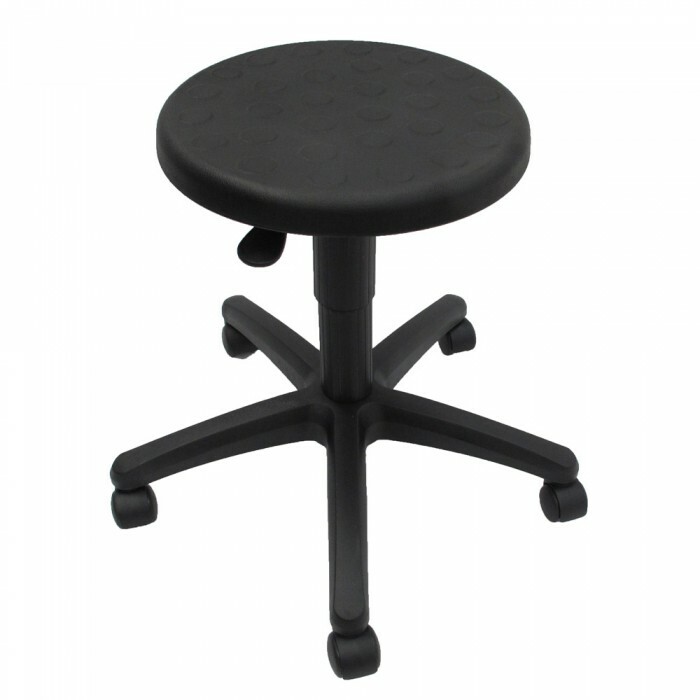 A simple round stool with a firm molded PU black seat. Easy to wipedown and clean. 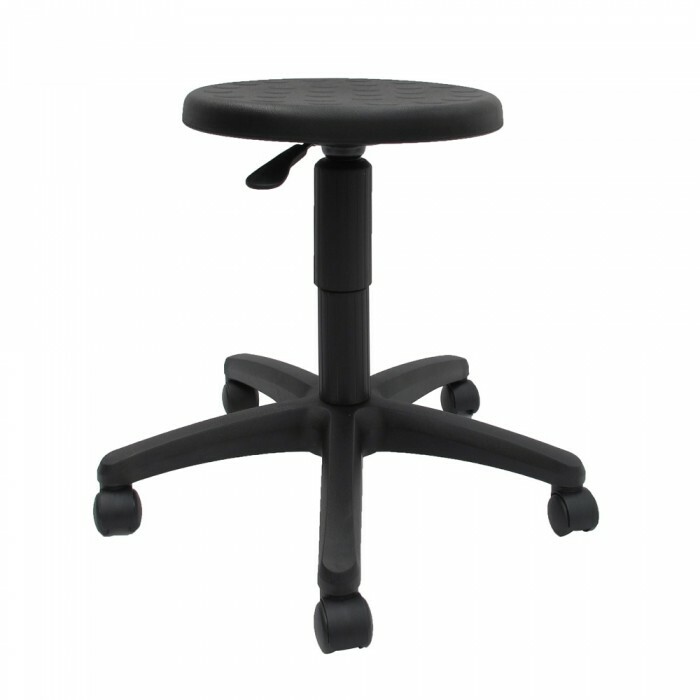 Hard wearing, it's perfect for any industrial, production, laboratory or workplace settings. No hidden seams for dirt and dust to collect. Water and static resistant. The BX stool features a height-adjustable seat, with a single lever mechanism for easy adjustment. 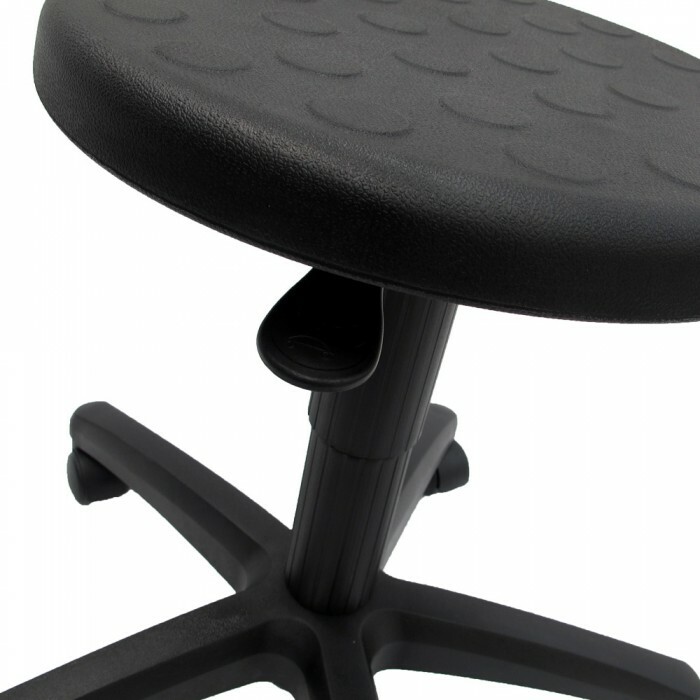 The seat swivels 360 degrees. 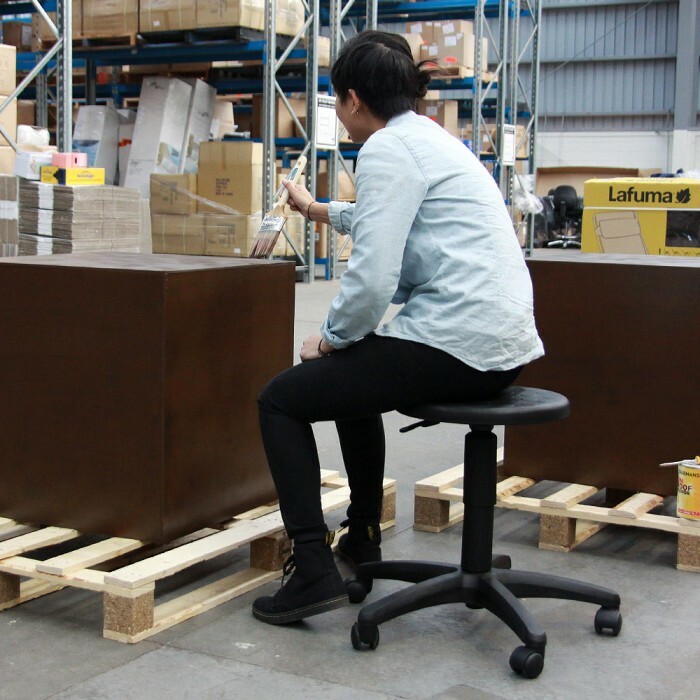 Comes with casters, and glides are available as an optional extra if required.